I’ve said it before and I’ll keep on saying until everyone knows it, but Ramsgate Brewery are going to be big. For a moment forget BrewDog, forget Thornbridge, forget Harviestoun, Fuller's, Sam Smith, Dark Star, forget Oakham; remember Ramsgate. Their core beers are superb. There’s No.3, No.5, No.7, named after the number of pints the brewer can have before his wife knows he’s pissed, and they are classic ales: No.3 and No.7 are pale and No.5 is a best bitter. Dogbolter porter, which I had cask for the first time last week, is really very good - Fuller’s London Porter good. Then they’ve got a few which are most often found in bottles (although they come out for beer festivals sometimes). I’ve written about these before - India, Ancestors and Black Pearl - and they are all excellent. I went to the brewery and shop a few weeks ago to get a few bottles. They also sell a really good range of European beer alongside the Gadds’ stuff. I got a Mikkeller Warrior Single Hop; a couple of Trappist brews ready for a tasting – Rochefort 8, Westemalle Dubbel; a La Chouffe Houblon; a Taras Boulba, a bitter Belgian blonde; a De Molen Amarillo and a couple of bottles of geueze. Big shop. But it was all about the Gadds’ beers. 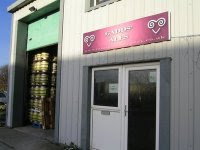 And it was two new ones in particular that I wanted; their barley wines: Oooks!, dry-hopped with Nelson Sauvins and Reserve Barrel Aged Barely Wine which is aged in red wine barrels from Chapel Down winery (who also make beer). Oooks! is a deep red-brown going fiery orange at the edges, the head is thick and creamy and then it’s unmistakably dominated by those Nelson Sauvin hops – brash and bold, resinous, massively condensed tropical fruits, peppery and strong. There’s something about the Nelson Sauvin that I really can’t put my finger on, but it makes it incredibly drinkable. There is something about this that feels like a rich double IPA with plenty of toasty, caramelized flavours. It’s excellent. The Reserve is a different beast. A near-mythical beast. It’s phenomenal. 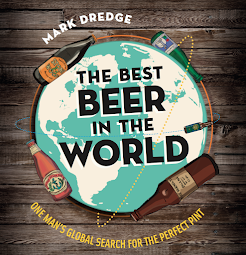 What makes a phenomenal beer? For me, in this case, it’s a complexity that is almost unrivalled. It’s the same base beer as the Oooks! (minus the dry-hopping) but it’s aged in Rondo 2005 French oak casks and the result is a complete spectrum of awesome. It starts with a brett funk, an air of countryside and chlorine on the skin, there’s understated berry sharpness and red fruits, then comes the base beer all toasty and caramelised, then it goes all red-wine-barrel with spicy wine notes and a near-tannic woody finish and a drum-crescendo of hops. It has an incredible evolution of flavour and you never quite know where it’s come from or where it’s going; there’s a little bit of magic in this beer, something intangibly evocative and different. It’s truly unlike anything I’ve had before. In a very good way. The great news is that you can buy this beer online or from the shop and try it too. Beermerchants have just got in a selection of the Ramsgate beers and they are totally worth buying. Seriously. Re-read my opening gambit and then go buy some and see for yourself. And there’s a beer festival coming up in a few weeks. Get down there. There’s a gallery of images here. I managed to sneak into a couple of the pictures taken by Phil, including some where Eddie Gadd the brewer is wafting the aroma of fresh beer my way (just before he gives me a Nelson Sauvin hop pellet which I was tasting for days after!). I haven't had any of mine yet. You're getting better at suppressing your hoarding tendencies. You say that, but I have another bottle of Oooks in the cupboard and 2 bottles of the Reserved and they won't be drunk for a while :D I've also got some Ancestors in the cupboard - I want to see your opinion on that one as well as these. I was really impressed by the oooks but really didn't like reserved. Red wine with beer? Big funky brett nose? No thanks! I'm annoyed they went for the numbering idea though. We were going to do that.